Beginning road cyclists will find relatively flat paved roads with only a few gentle climbs and large parking areas perfect for practicing basic skills. 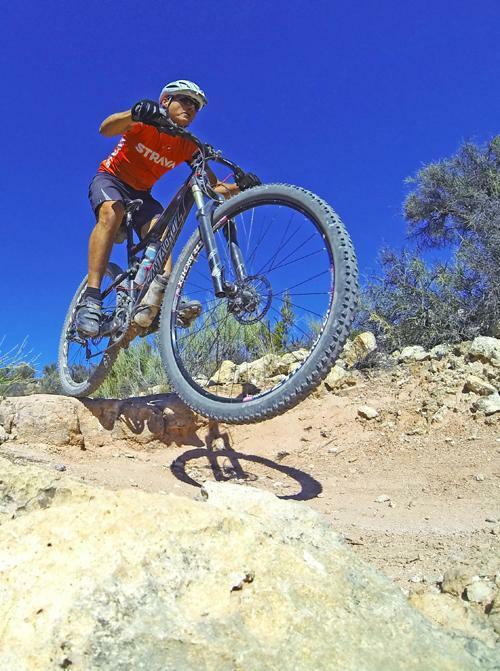 Beginning mountain bikers will find a place to hone new skills on the trails adjacent to Red-Tail and Cooper's Hawk campgrounds. 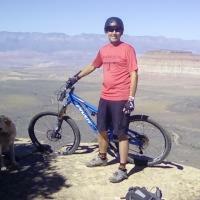 For more experienced riders, world-class mountain biking experiences await you here. Review: One of my favorite places to ride. I camp here every fall and ride right out of the campsite. $6 day use fee to get in but hot showers available at Coopers trailhead. The trail system was designed by none other than Randy Victory over the course of several years. You can make a loop anywhere from 7 miles to 15 miles from the top. Noticed this year some bypass trails that go around some of the gnarliest climbs, but you can still drop them on the way down. Review: There is much more here than the 7-mile loop on the map. They have made loops out of Rust Bucket and Bones Trails which adds about twelve miles of great ST and links up with Upper Raptor. The Upper Raptor/Thumper/Lime Kiln DH is a blast with lots of steps, drops and swoopy sections to keep a smile on any riders face. Dead Horse Ranch State Park MTB Trail 4.50 out of 5 based on 2 ratings. 2 user reviews.